JETCAM Expert CADCAM - G & W Machinery Sales, Inc. Whether you are a job shop producing small runs or a multi-national company looking for complete automation, JETCAM Expert CADCAM delivers a comprehensive programming system for all punching, cutting, profiling, routing and composite cutting machine tools - including combination machines and machines with loading/unloading equipment and/or right angle shearing. 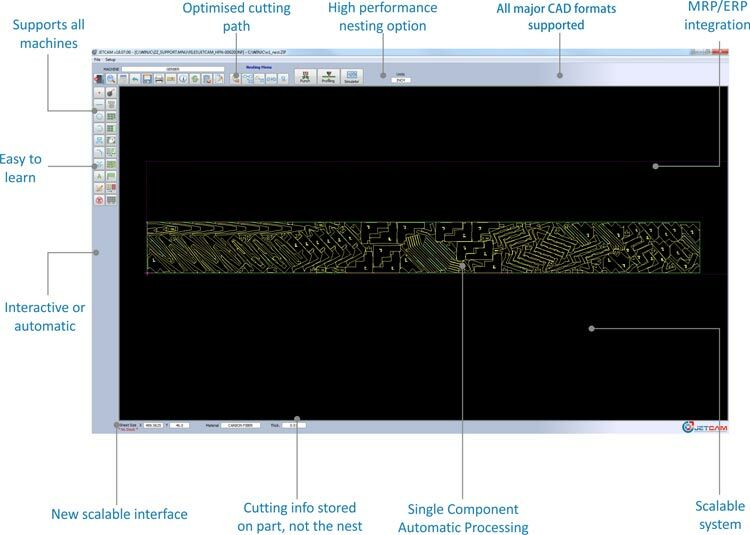 JETCAM Expert now takes multiple sheets into consideration, giving you the absolute best material efficiency in a fraction of the time. 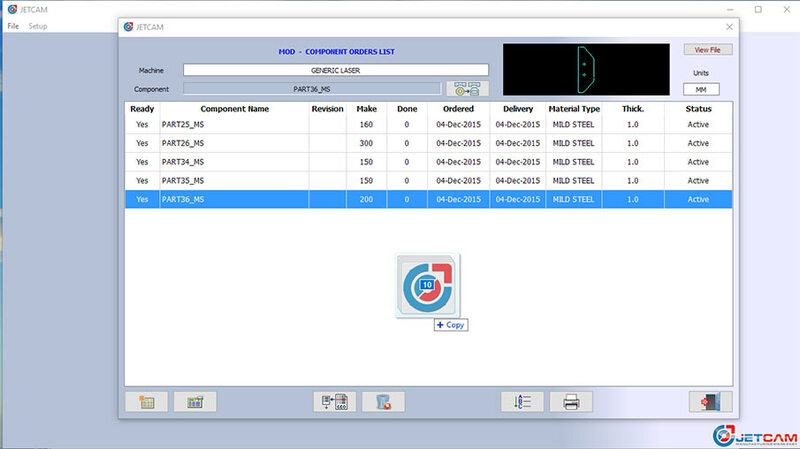 Drag single components or entire folders of components onto your order list to quickly generate nests. Specify a single quantity for multiple parts or use in-grid editing to modify individual quantities. Ensure that your nests can always run based on the tools loaded in your turret. Save time and material when using either Free Form Automatic Nesting or Free Form High Performance nesting by automatically common punching parts. 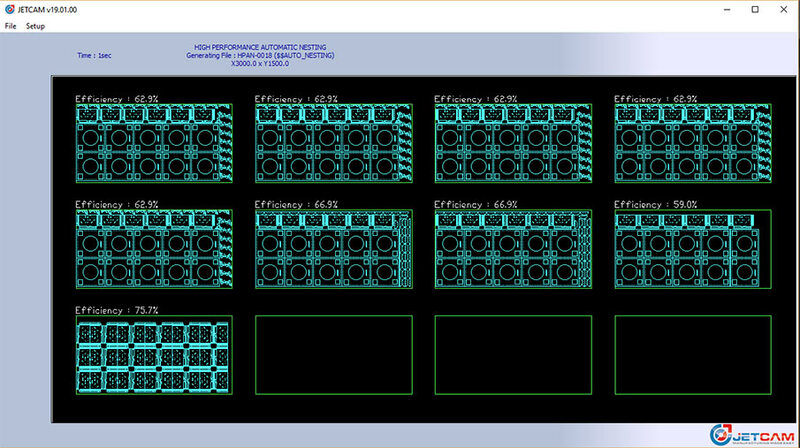 These are just some of the hundreds of new features in v19, which is available free of charge to all customers with a current maintenance contract.